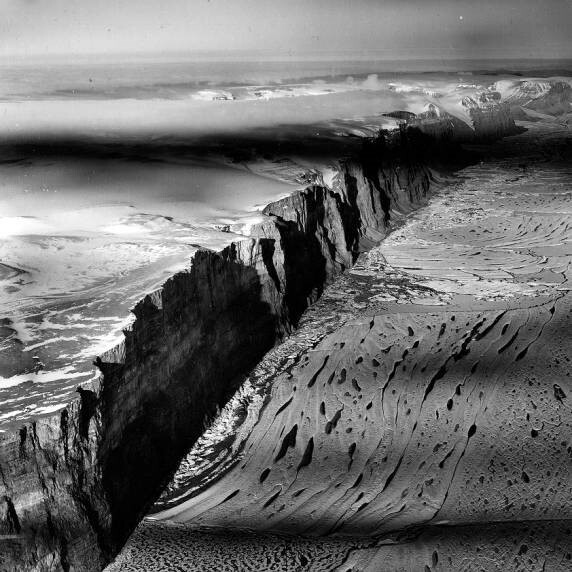 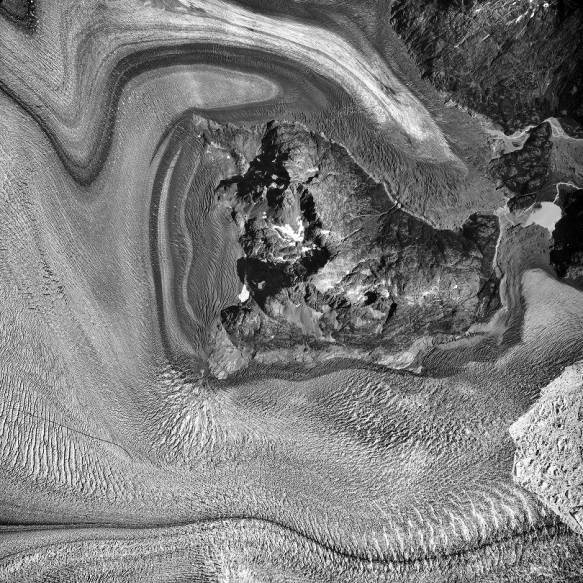 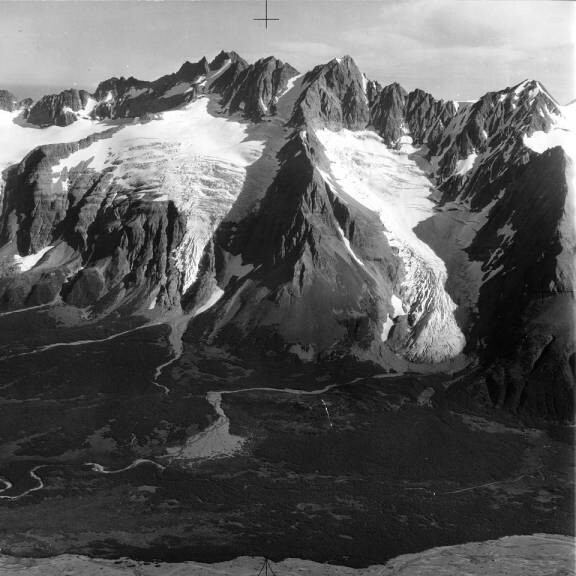 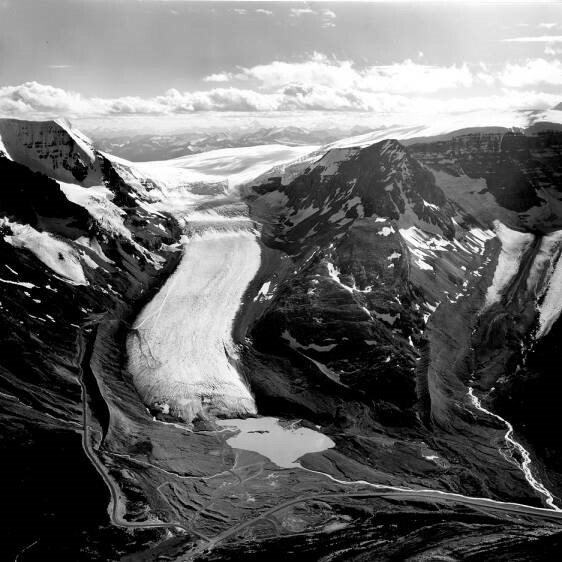 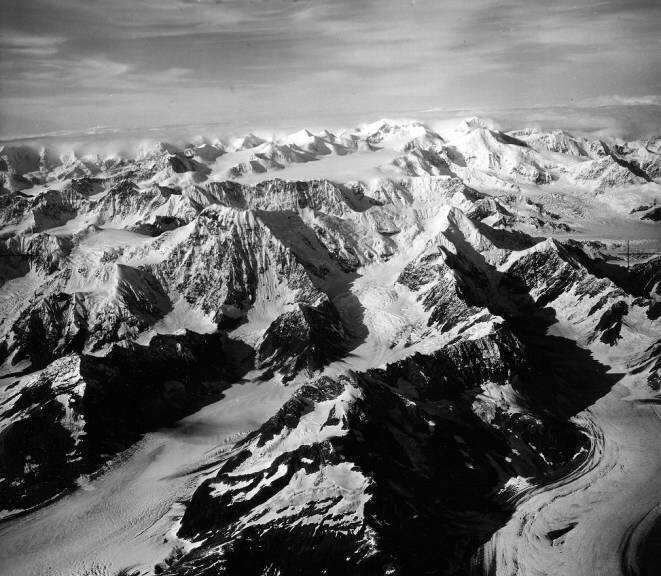 Austin Post (1922-2012) was a self-educated glaciologist and aerial photographer. 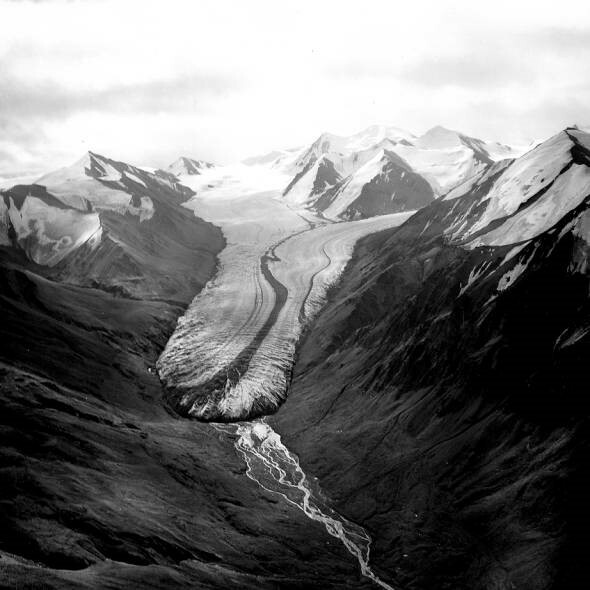 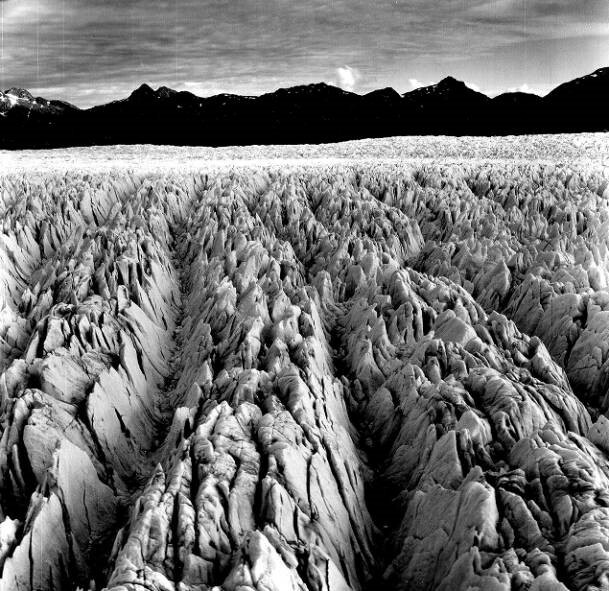 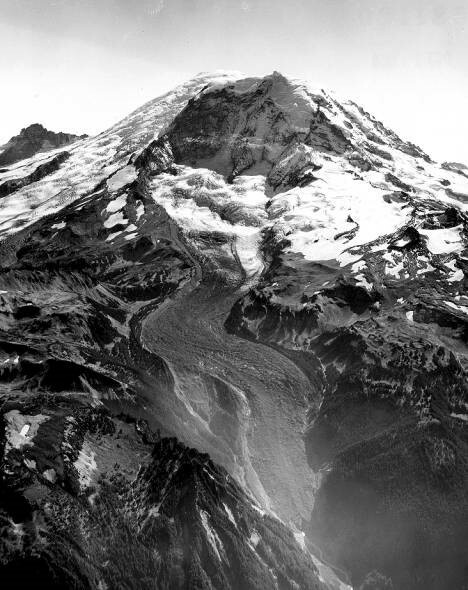 Over the course of his career as a research scientist with the USGS, Post made more than 100,000 photographs of glaciers, mostly in Alaska, but also in Washington, Oregon, California, Wyoming, Idaho, and Montana. 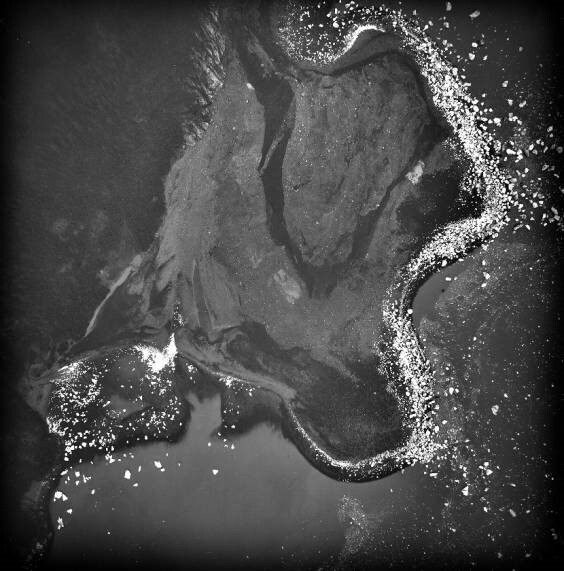 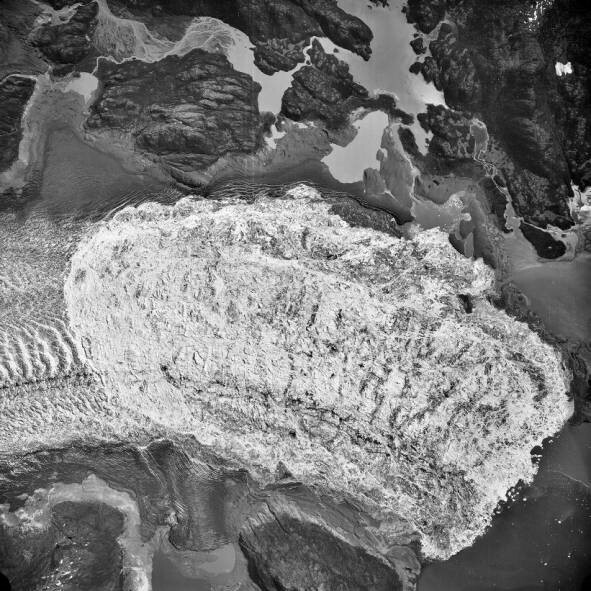 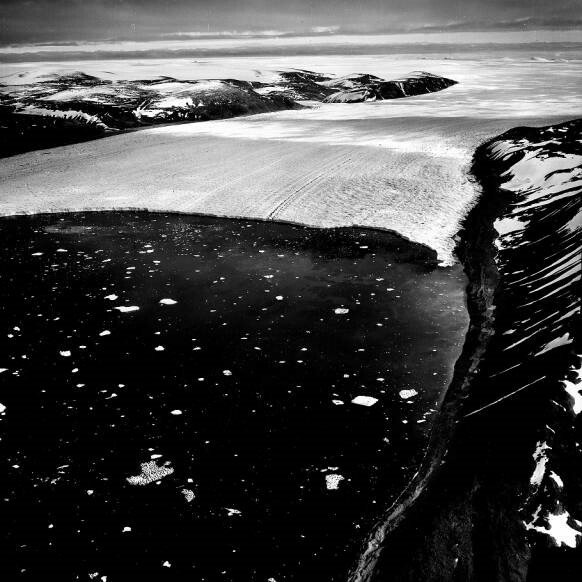 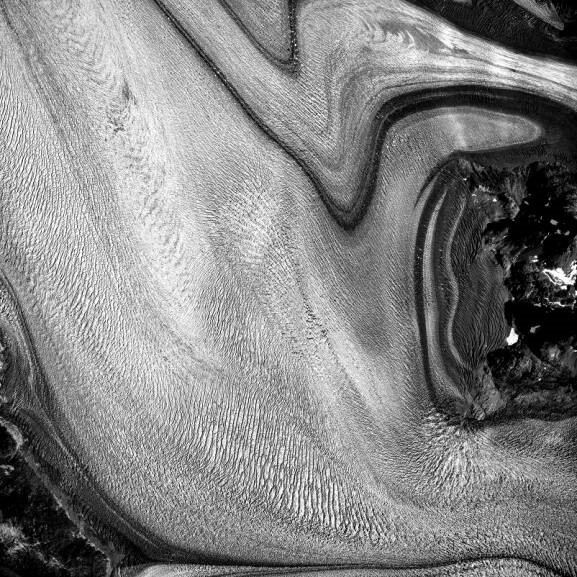 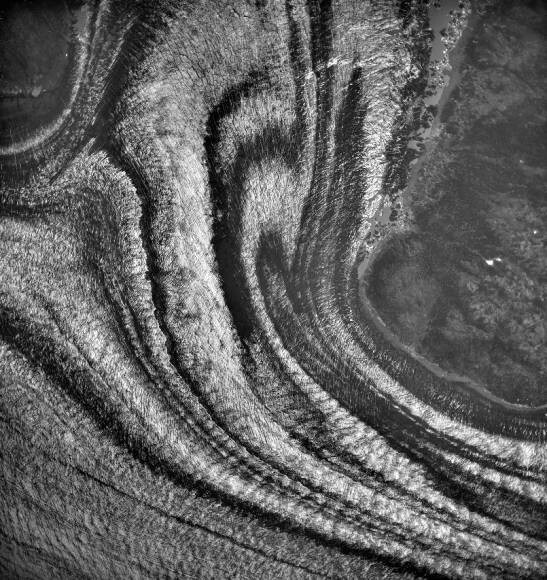 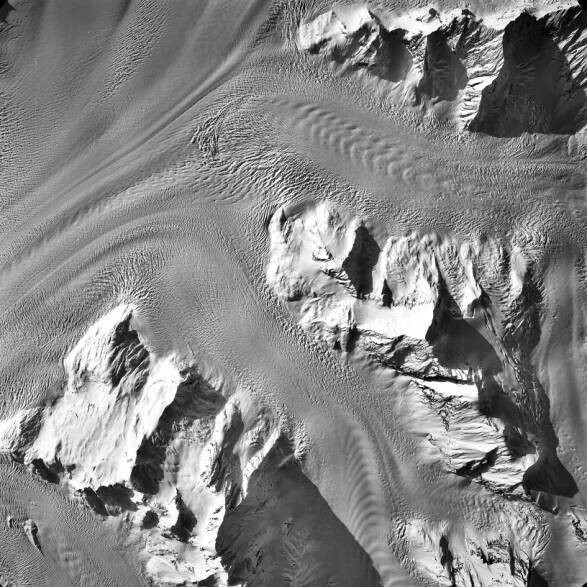 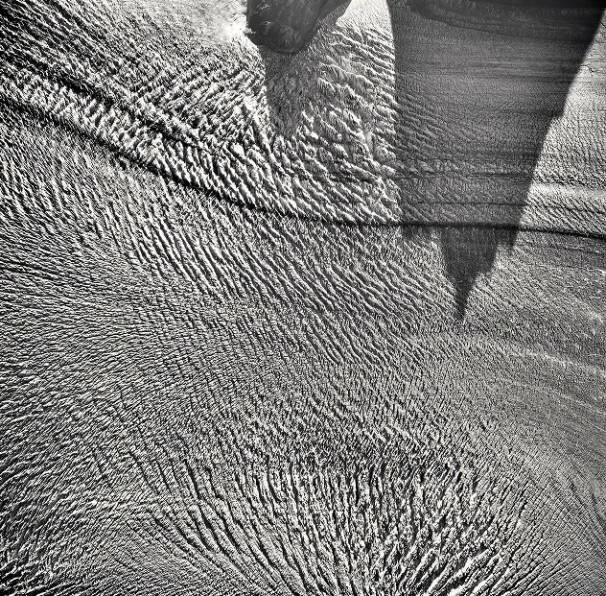 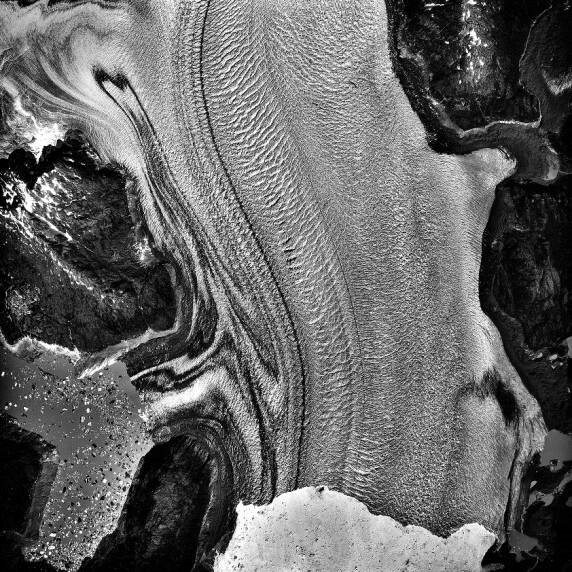 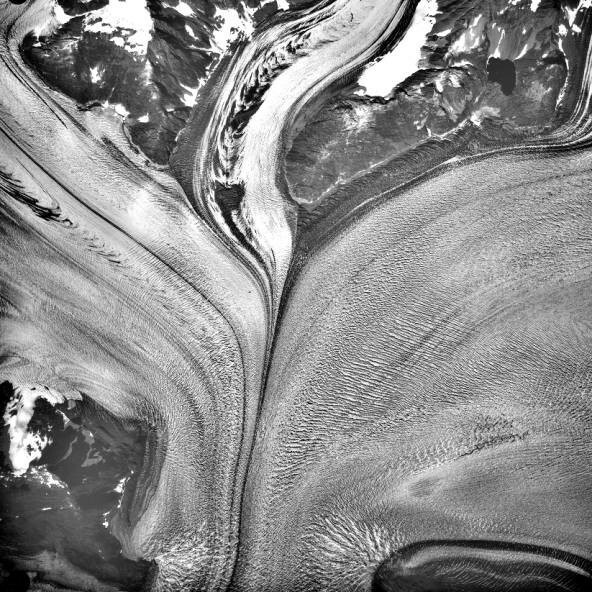 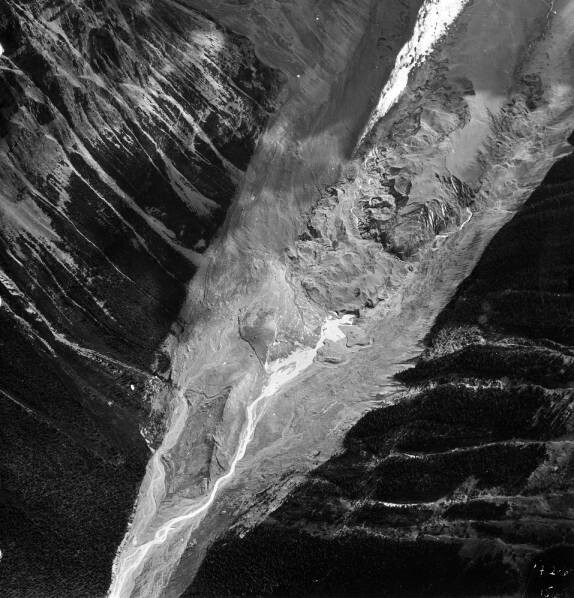 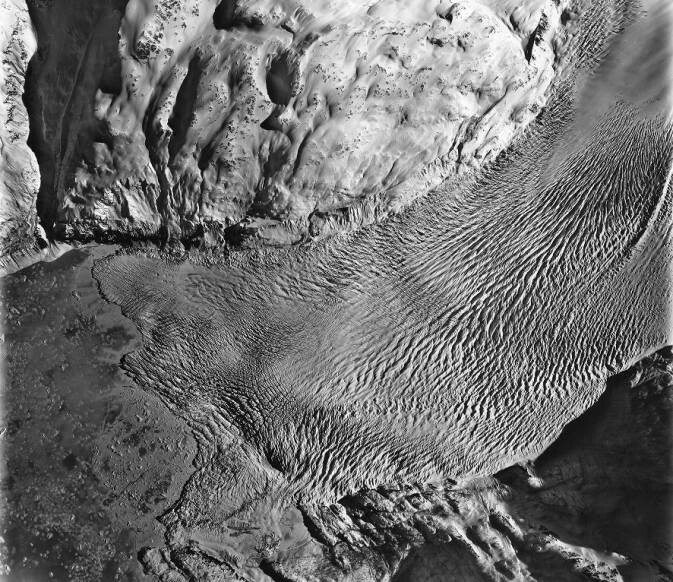 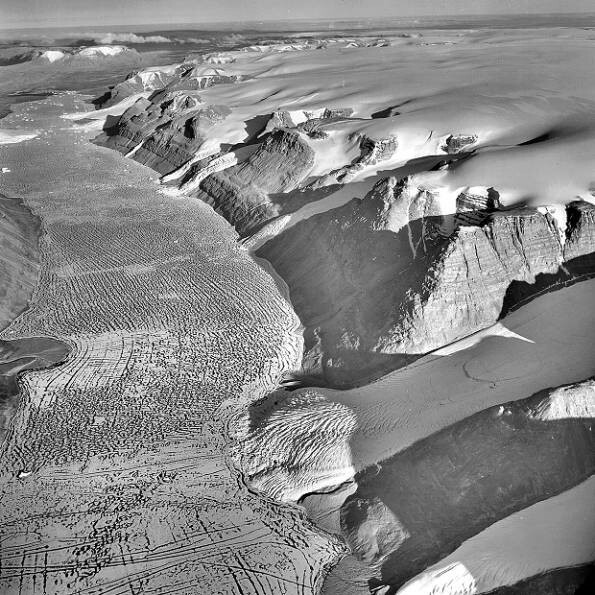 These photographs contributed to current understanding of surging and calving glaciers, a phenomenon that was not identified until Post began taking aerial photographs of glaciers. 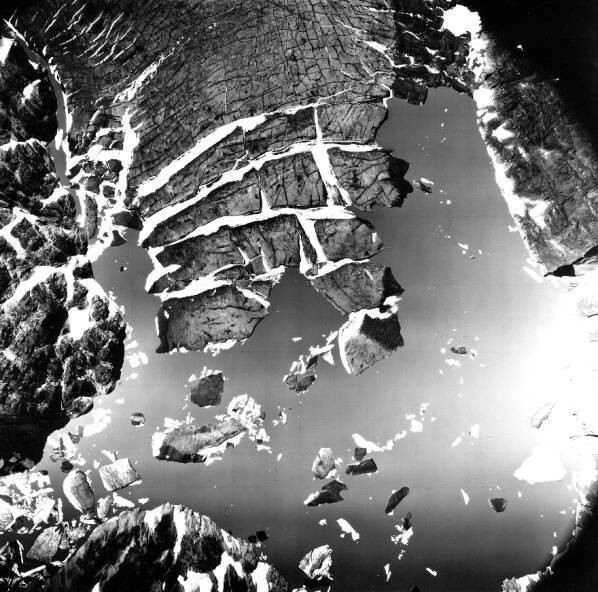 Post used a 63-pound K-17 camera—the same camera used by the US Air Force for aerial reconnaissance during WW II. 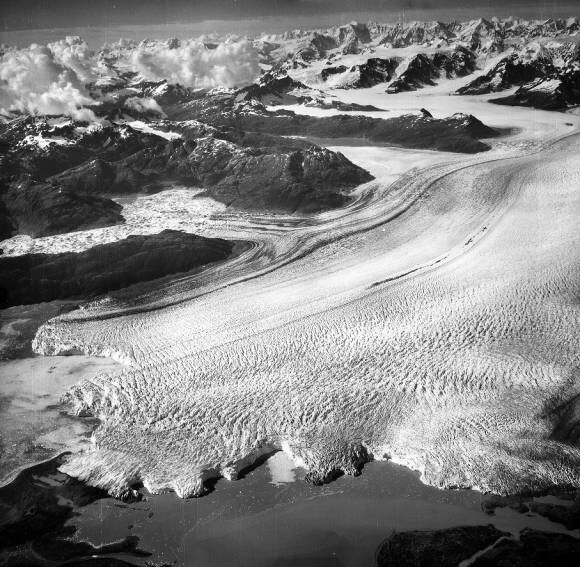 “In those days we flew with the door off, as we hand held those bulky cameras,” recalls Post. 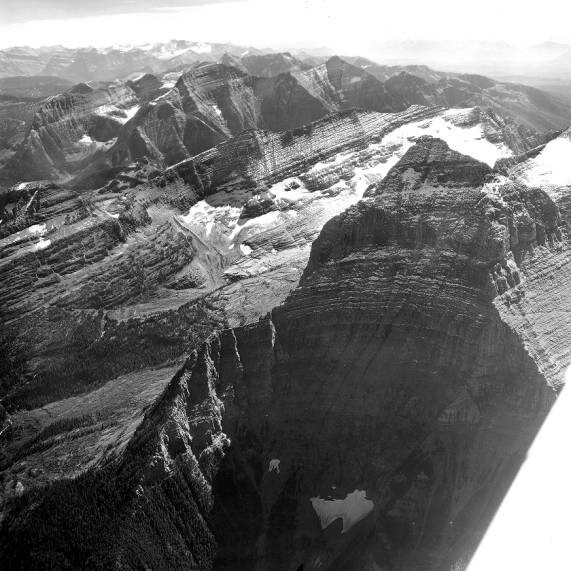 Later, when Post teamed up with bush pilot Bill Fairchild, these cameras were mounted on Fairchild’s Beech 18 twin engine airplane, one on each side, one in the nose, and two in the belly. 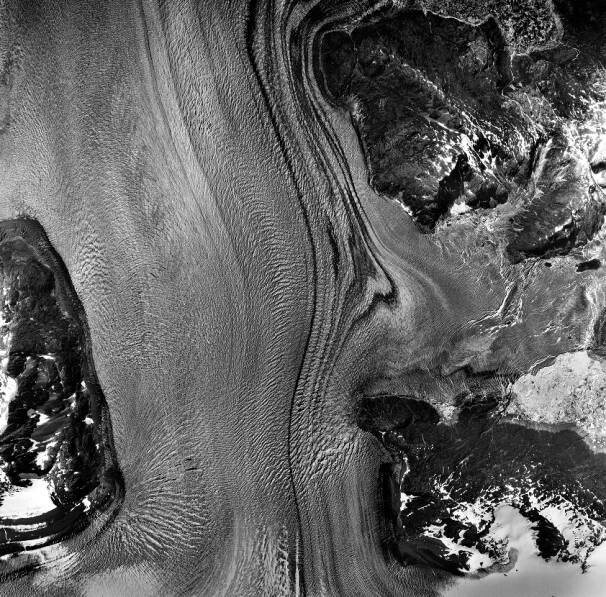 The photos were shot mostly from 10,000 feet, but on occasion they were made from as high as 20,000 feet. 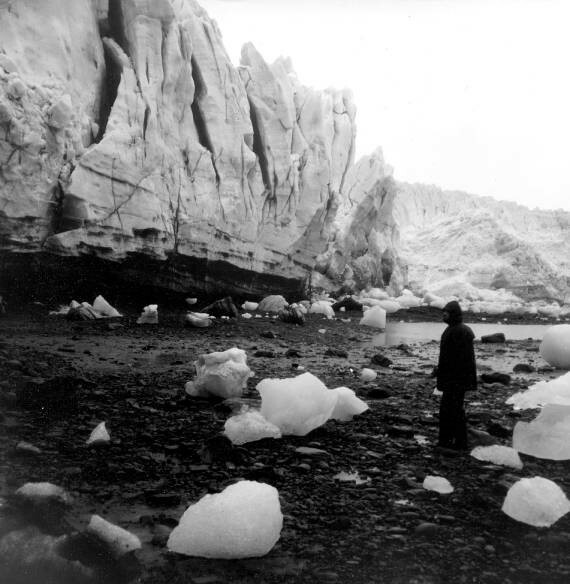 Post worked with many of the pre-eminent geologists of his time, including Phil Church, who founded the Department of Climatology and Meteorology at the University of Washington, Richard Hubley, who is credited with making the connection between glacial ice and overall climatic conditions, and William O. 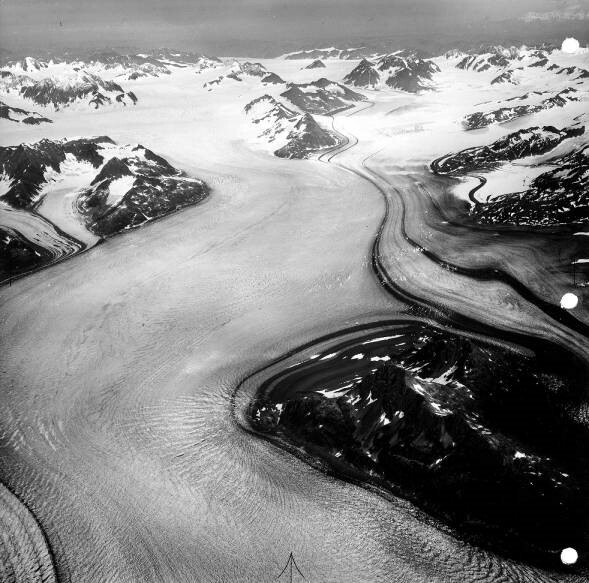 Field, the recognized father of modern-day glaciology. 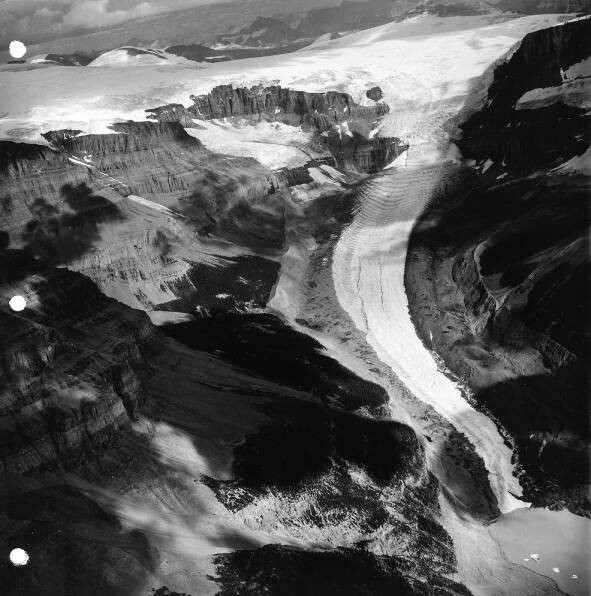 Post’s photos are used throughout the Cascade Alpine Guides, by Fred Beckey, and in the book Glacier Ice, co-authored by Post and Edward LaChapelle. 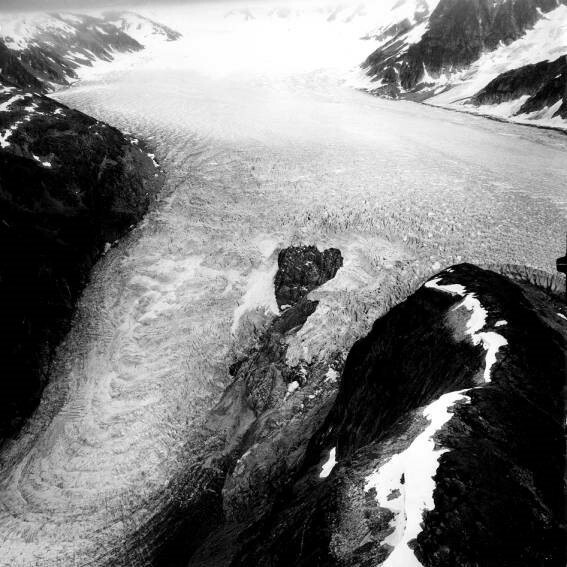 In 1990 Post received the Hubley Crystal Award from the United States Geological Survey and in 2004 he received an honorary Doctor of Science degree from the University of Alaska-Fairbanks.